Posted May 16th, 2018 by Masterpiece Marketing & filed under Uncategorized. 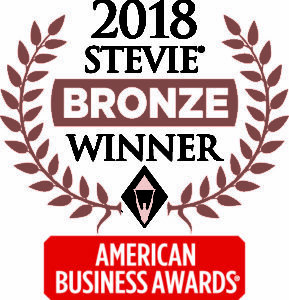 Ambassador Advisors, LLC, was named the winner of a Bronze Stevie® Award in the Best Print Newsletter or Publication category in The 16th Annual American Business Awards® today. The American Business Awards are the U.S.A.’s premier business awards program. All organizations operating in the U.S.A. are eligible to submit nominations – public and private, for-profit and non-profit, large and small. The official winners list which dates back to 2003 does not include any other winners from Lancaster; Ambassador Advisors’ recognition is a first for our local area. More than 3,700 nominations from organizations of all sizes and in virtually every industry were submitted this year for consideration in a wide range of categories. 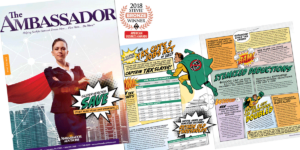 Ambassador Advisors’ quarterly magazine The Ambassador was recognized for its spring 2018 issue, entitled Superheroes Save (They Also Plan and Diversify). The magazine has been produced for over a decade by Masterpiece Marketing (Lancaster, PA). Ambassador Advisors is a team of experienced wealth managers and legacy professionals who bring a well-balanced, stewardship-centered approach to financial planning. By providing financial guidance with integrity and experience, their team seeks to impact the lives and financial well-being of families and organizations. Their mission is to support and promote Biblical stewardship through appropriate financial planning, estate strategies, and money management services for the benefit of nonprofits, charities, individual donors, and investors.